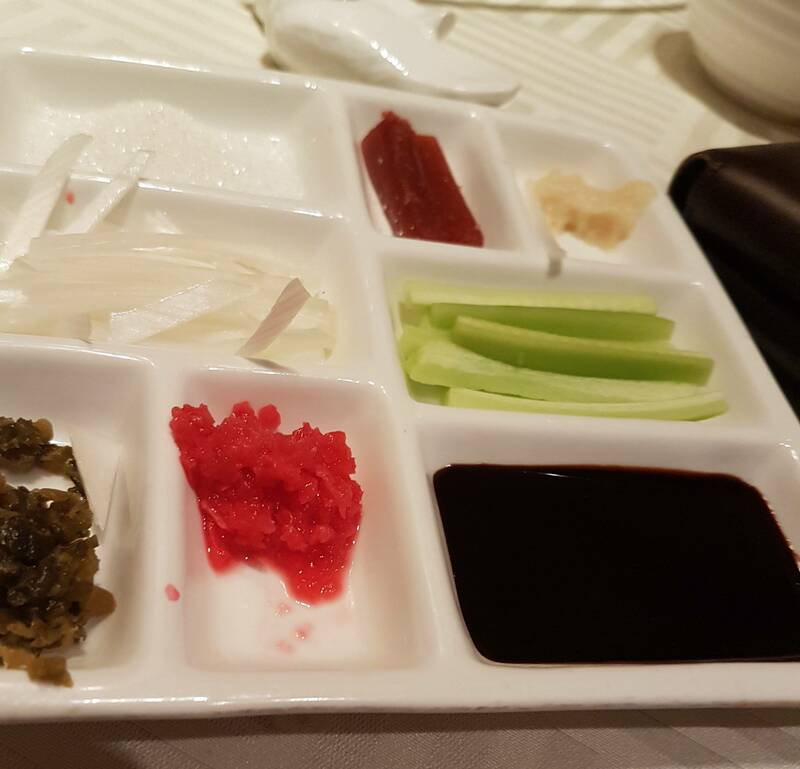 What is this sweet, thick, soy-sauce-like condiment in China? In Beijing, on two occasions, I was served a sauce I couldn't identify. Visually it looks like soy sauce but it's much thicker and stickier. It tastes soy-ish, but sweeter, maybe malty in some way. Definitely has fermented aspects. I asked someone who lives elsewhere in Asia and he said "sweet sauce" which isn't helpful. During the dinner where I took this picture, I asked my "handler" who said "we just call it sauce" which again wasn't helpful. Does it have a name outside China? Is this something I could buy, as you can buy oyster sauce, hoisin sauce etc, if only I knew its name? It was really good. It could be 甜面酱/甜酱 or sweet bean sauce aka sweet flour sauce or just sweet sauce. You can probably find it in a Chinese supermarket under one of those names. There is an Indonesian sauce called kecap manis that sounds exactly the way you describe. It is also common outside of Indonesia, including China and South East Asia. That may not be what you had. If it was very sticky, the here in Ecuador they call it Eel Sauce which is mostly soy sauce with lots and lots of sugar. Another possibility is a variant on Hoisin sauce which has a more beany taste but is usually more brown rather than almost black like the one you show. Not the answer you're looking for? Browse other questions tagged china food-and-drink identify-this beijing or ask your own question.